Both the lateral decubitus position and the beach chair position have their proponents. 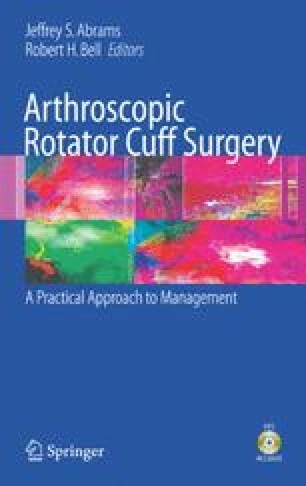 The choice is largely determined by the position used when the surgeon was learning shoulder arthroscopy, the ease and anticipated frequency of converting to a mini-open procedure, and the availability of surgical assistants and supportive devices for arm positioning. Benefits and compromises exist for each option.